Building or remodeling your Kansas City home? 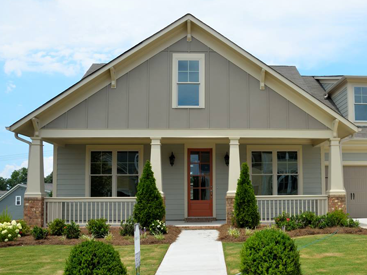 Make sure you choose the right style of windows that will not only match the style of your home, but also gives you the performance features you need. 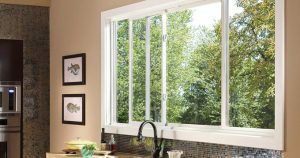 Blue Springs Siding & Windows wants you to feel comfortable with your choice, so here are the four most common styles of windows and replacements windows that will work with your home. 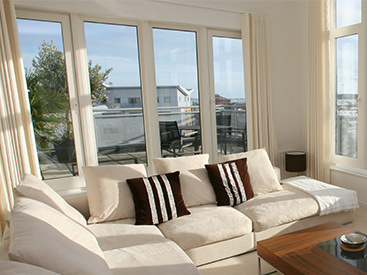 Casement windows have a single pane of glass that does not slide up or down. They are usually hung alone or in pairs and typically come without any grids unless specified or requested. They allow for an unrestricted view, perfect for scenic yards and outdoor areas. 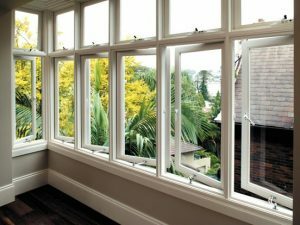 Casement windows are usually operated by a crank, and open by swinging outward or inward. These windows have a large range of motion, which allows them to open wide, and makes them easy to clean. They also offer superior ventilation. Double hung windows are a classic. They are composed of an upper, outside sash that slides up with the help of weights, springs, or friction devices. 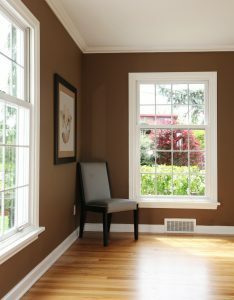 Double hung windows are very easy to operate, and have a very traditional style. Many styles come with wood or vinyl grilles or grids. Cleaning them is fairly easy, and some new models that tilt at the sash are even easier to keep sparkling! If you’re looking to conserve more energy in your home and seal out the outdoor elements, sliding windows are a great option for you. With this style of window, one panel is fixed and another slides horizontally. This means only half of the total window can open at one time. Awning windows hinge from the top, and swing open from the bottom at about 45 degrees, creating the shape of an awning. 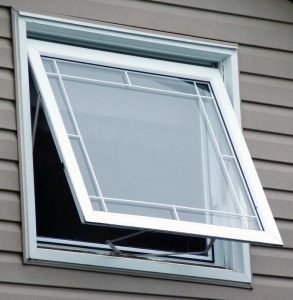 These types of windows are often found in bathrooms, or other places where ventilation is important. 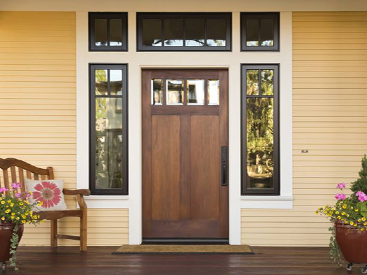 Once you know the style of the window you are looking for based on look and function, you can start to decide the types of materials and extras you’re looking for. If you need to replace your windows call the best window replacement company in Kansas City, Blue Springs Siding & Windows, at (816) 228-5225.